Welcome, 2018! Like many of you, we spent the holidays with some of our family in Chicago. Yes, I went into the cold on purpose! 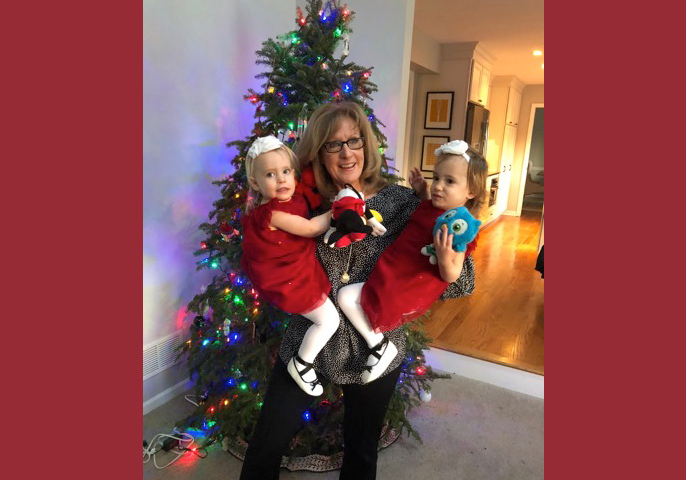 It was sub-zero temperatures outside, but inside, it was snuggle time with my grandbaby girls. In our downtime, after the twins went to bed, I found myself doing what we all do - checking out social media to catch up on my grandbabies that live in other parts of the country. It was easy to get sidetracked with holiday deal ads, product videos, service videos, and resources to support my interests. I even finally found a new desk and chair for my office! What’s happening? The role of social media is changing rapidly and for medical manufacturers, this is your time! What are some of the top trends in Social for business in 2018? In addition to the re-emergence of QR codes and “millisecond marketing”, get ready to pay for some of that exposure to key target marketing opportunities. The good news? You can quantify that spend and it’s more efficient and cost-effective than traditional advertising. There’s a lot of discussion around Social Media, Social Selling, Content Marketing, and Digital Marketing; and how to approach sales and marketing in the medical industry. So how will you reach your target customer? Since over 50% of businesses lack in a social media ad budget, there’s a large opportunity to commit your marketing dollars to where you can actually quantify the results, reach your target customer, and grow your business in a much more effective and efficient manner. We recently met with LinkedIn to review sales solutions for our clients to reach their target customers. This will aid in providing relevant information and resources regarding when and where prospects and customers need information. To say you can better reach the market you serve, from purchasing influencers to actual decision makers, is an understatement! You can be able to target the right people and the right companies. You can save lists of target accounts and leads, and get notified of new matches! This is an incredible shift in social media prospecting and selling! We’re excited about the opportunities and tools KBK is tapping into to build successful lead gen programs for our clients. We look forward to sharing these resources throughout the year. Happy Social Selling! If you’d like some assistance evaluating and improving your online performance, the experienced healthcare marketing team at KBK Communications is ready to help you attract more visitors and convert more leads into satisfied customers. Contact us online or by phone at 815-464-8565.